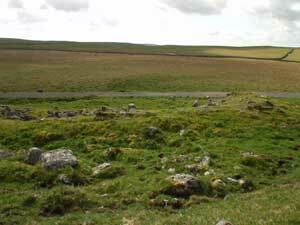 The ruins of this house may be found situated on Malham Moor on the Southeast side, and at the foot of Great Close Scar at SD905666, just to the left of the road to Middle House after leaving Street Gate. Known to locals as the old pub, the ruins were more extensive in the mid 20th century but have been "quarried" for stone. 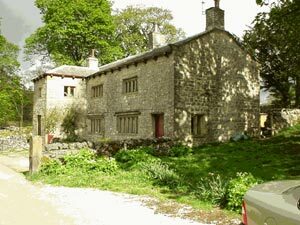 In 1710 it was home to the Tempest family, perhaps related to James Tempest of Kirkby Malham and was a part of the original Lister estates on Malham Moor. two of the three cells can just be identified. 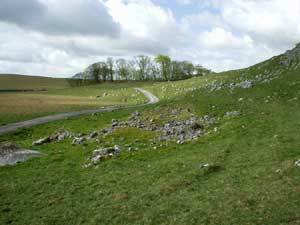 "On the left of the road at the foot of Great Close Scar are the ruins of a fairly large house which was occupied until about a hundred years ago. 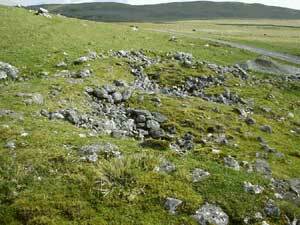 At the time of the Malham moor cattle fairs this was a house of refreshment for the cattle drovers who came to the fair from Scotland and the north. The fair was held on Great Close, the pasture in which the house stands, which is said to be one of the largest walled pastures in the north." .....you might often see 5,000 head of Scotch cattle in the pasture at one time. As soon as these were a little freshened, notice was dispersed among the neighbouring markets and villages that a Fair would be held on a particular day ; and lots being separated by guess as nearly as could in such a manner be done to the -wants or wishes of any purchaser, so much was fixed immediately by the eye upon that lot or so much per head taking them as they accidentally were intermixed upon an average. As soon as these were disposed of,' continues Hurtley, ' a fresh drove succeeded and besides sheep and horses frequently in great numbers, Mr Birtwhistle has had 20,000 head of cattle on this field in one summer. Morkill says the sales of Scotch cattle on Great Close is believed to have carried on into the early 19th century, but was gradually replaced by sheep. However once the railways were established in the mid 19th century the shepherds and drovers no longer brought their animals to Malham and the fair became the much smaller Malham sheep sales, which continued through the 20th century. 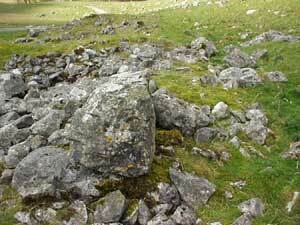 The house was built into the slightly rising ground of Great Scar Hill above the mire. Probably around 16-17th Century and contemporary with Shepherds Cottage. It would have been a fairly substantial house of the period. A three-celled construction, as found at Shepherds Cottage, possibly of ‘slobbered’ uncoursed limestone rubble construction, with a stone slate roof, See the floor plan. Internal and external walls of approx. 1 metre (3’) thickness. Evidence of some roughly squared limestone blocks employed at the quoins. The right-hand side of the house seems to incorporate an irregular shaped structure, possible a dairy or storehouse. Layout may have incorporated a central hall or firehouse with service area to one side with dairy in the outshot. May well have had gritstone window and door surrounds, similar to those at Middle House the nearby late 16th Century former home of the Brown and Knowles families. O’Hagan’s map also seems to suggest a right-hand projection to the front elevation. Could well have been of two storey construction, "Typical of the norm" - Harrison and Hutton (See Notes below). Looking at Henry O’Hagan's map of 1850 which shows part of Thomas Lord Ribblesdale’s Estate in Kirkby Malhamdale (which was part of the1850 prospectus for the sale of the estate (YAS), the house location, although not originally named, can been clearly identified together with the linking track to the Southwest. Also the drawing seems to show an extension out from the right hand front elevation, but this isn't confirmed by the first edition of the 6 inch OS map of a similar date. The survey of the Fountains Abbey estates made at the surrender of the monastery in 1539 doesn't mention a tenancy on Great Close, so it can reasonably be assumed that the remains are later than this date, probably when the land was in the possession of the Lamberts. 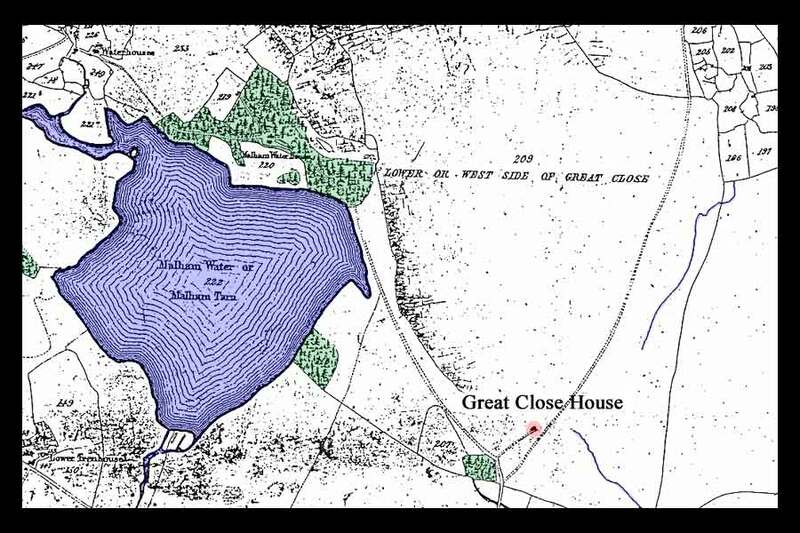 to the buildings envisaged at Great Close. Further site photographs taken June 2003. 2. Left hand cell, looking towards Mire. 3. Looking south, Great. Close Plantation on horizon. 4. 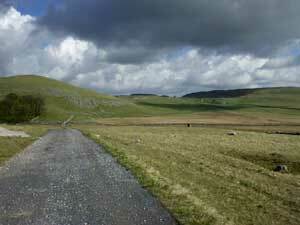 Looking north, Great Close Hill to left. 5. 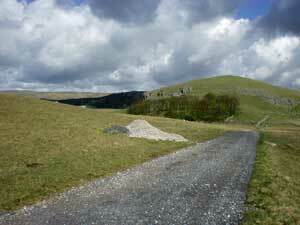 Pan left of hill, Malham Tarn and Tarn House just visible. The relative frequency of houses with more than one hearth. Establishment of two-storey buildings as the norm. The use of upper rooms as bedrooms, rather than storage chamber. Find more information on the Birtwhistles and the Great Close Cattle Fairs here. Photographs and information on this page have been supplied by whose family history research includes the Tempests of Kirkby Malhamdale. You can find further details of his research on The Sharples Family website.